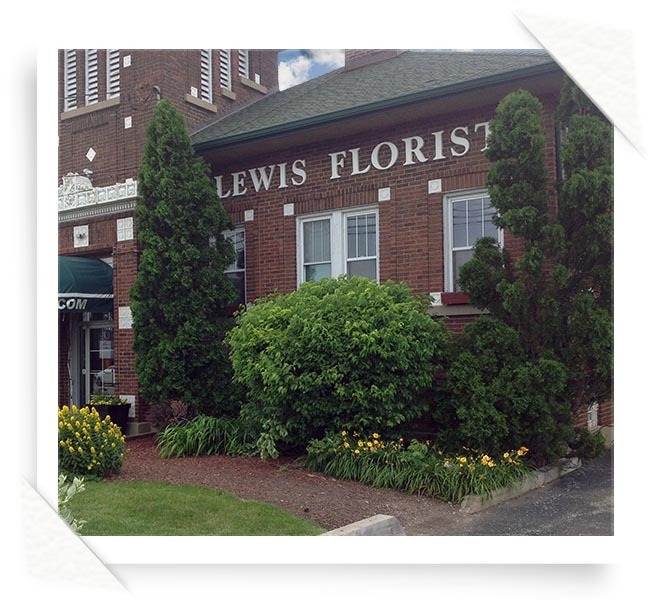 Lewis Florist in Grayslake Illinois, located in a Turn of the Century Schoolhouse, opened in 1984. Michael Lewis AIFD, Owner, operator, and one of four designers, takes great pride in offering customers fabulous flowers, innovative designs, and great customer service. Lewis Florist offers you many years of design expertise. Owner Michael Lewis AIFD is a member of the prestigious American Institute of Floral Designers. His work has been featured in magazines, he teaches floral design thru industry shows, was a consultant for a national wholesale company, has done flowers for the Miss Illinois Pageant, Miss America and the Tournament of Roses Parade. Michael has also been chosen to be on the design team to do flowers for the Presidential Inaugurations in 2001 and 2005. Lewis Florist is dedicated to providing you with the freshest flowers for all your floral needs. Your 100% satisfaction is our goal. We are always here to serve you and make your flower buying experience a positive one.